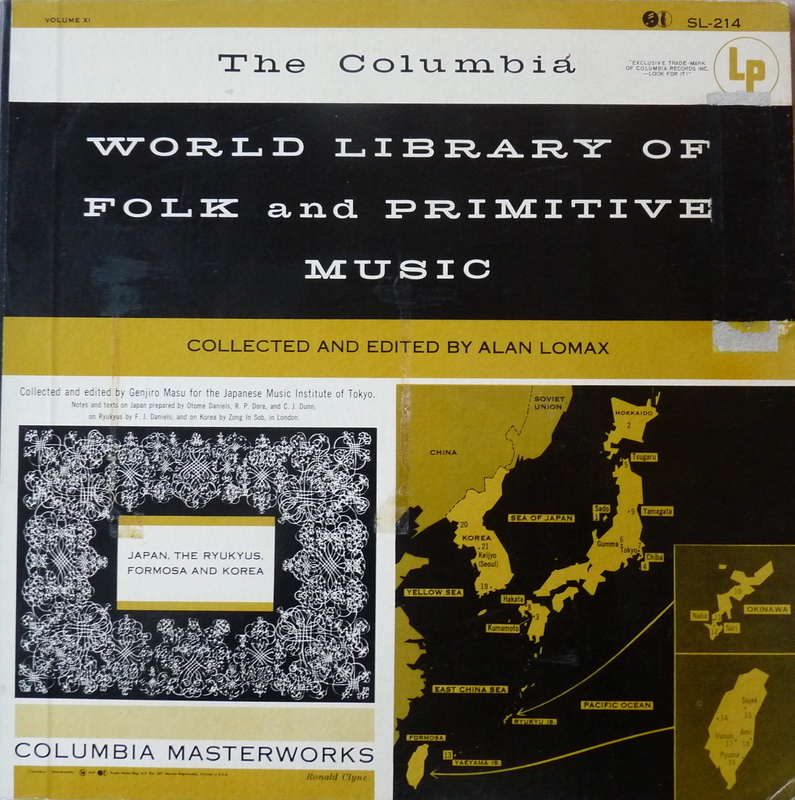 With Volume 11 of the World Library we receive a rich sampling of traditonal music from Japan, its near islands, Taiwan and Korea. 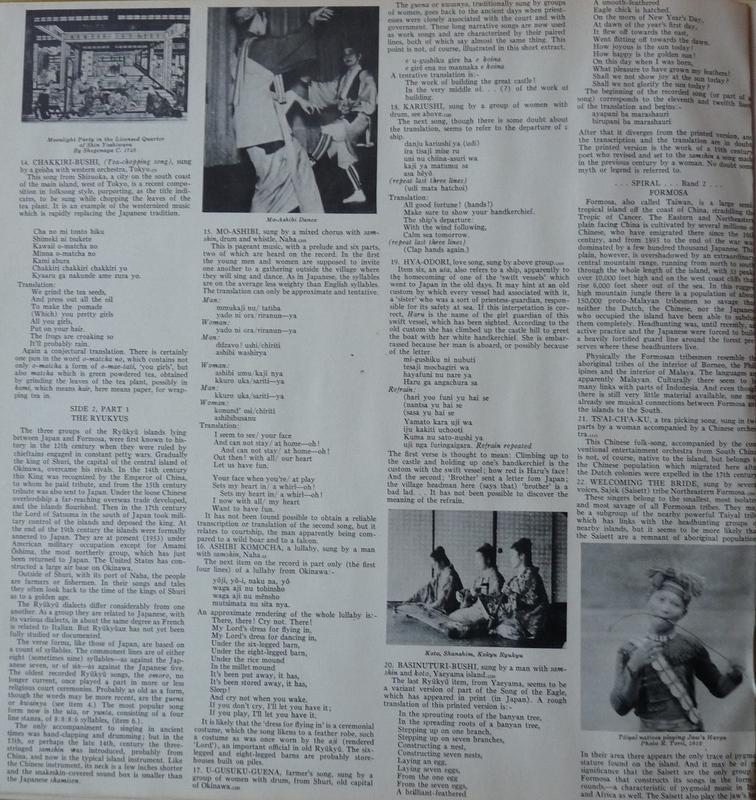 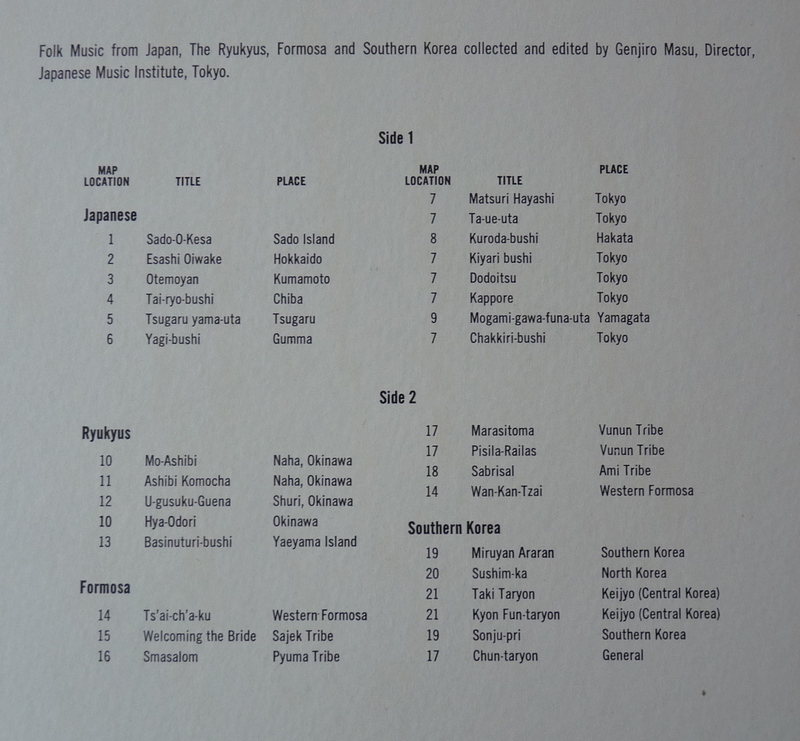 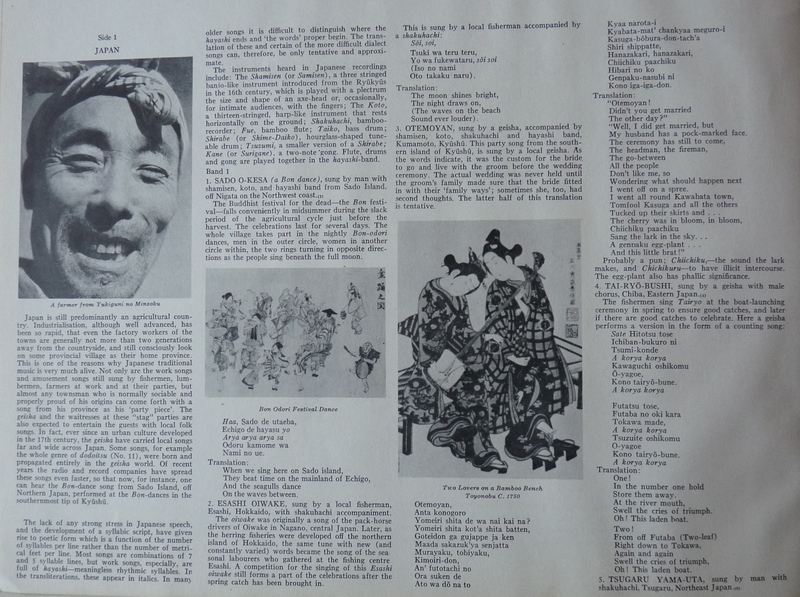 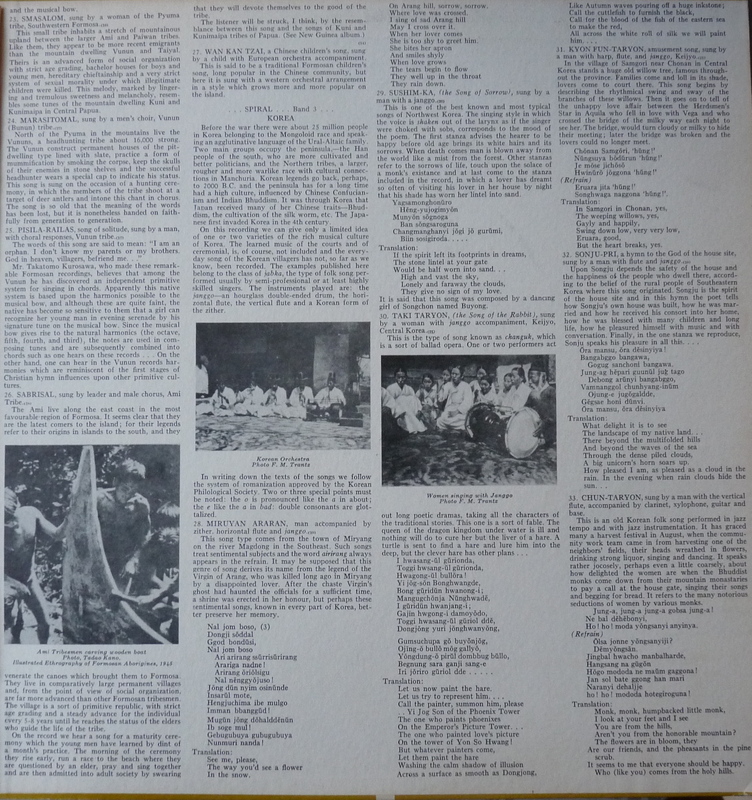 Side 1 is devoted to Japanese music, with fishermen and geisha songs, instrumental pieces, etc… and side 2 has music from the Ryukyus Island, Formosa (Taiwan) and Korea. 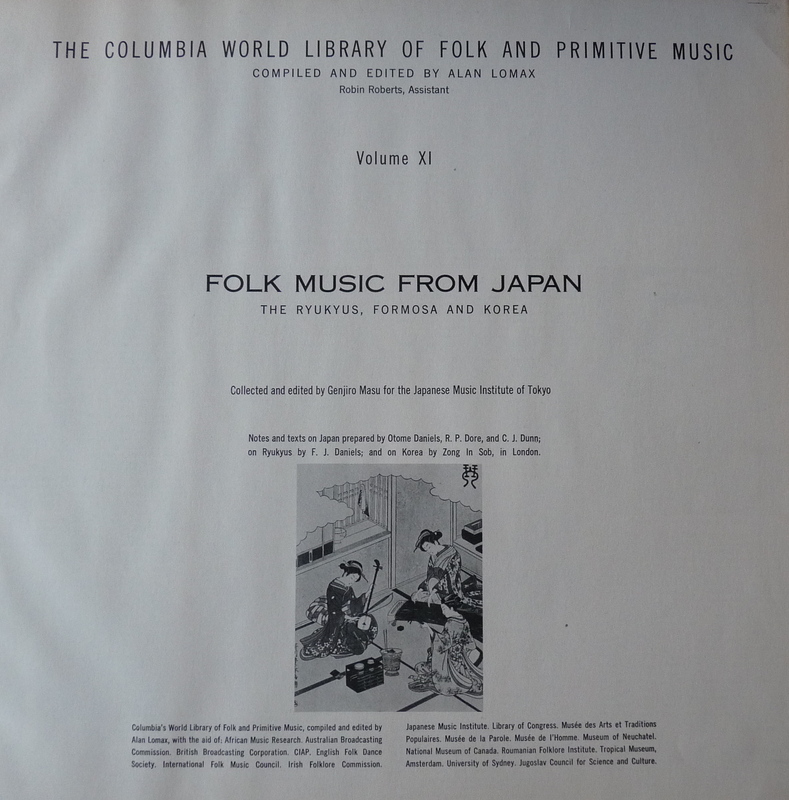 Most of the examples on the records represent very old musical traditons but some pieces show more westernized versions. 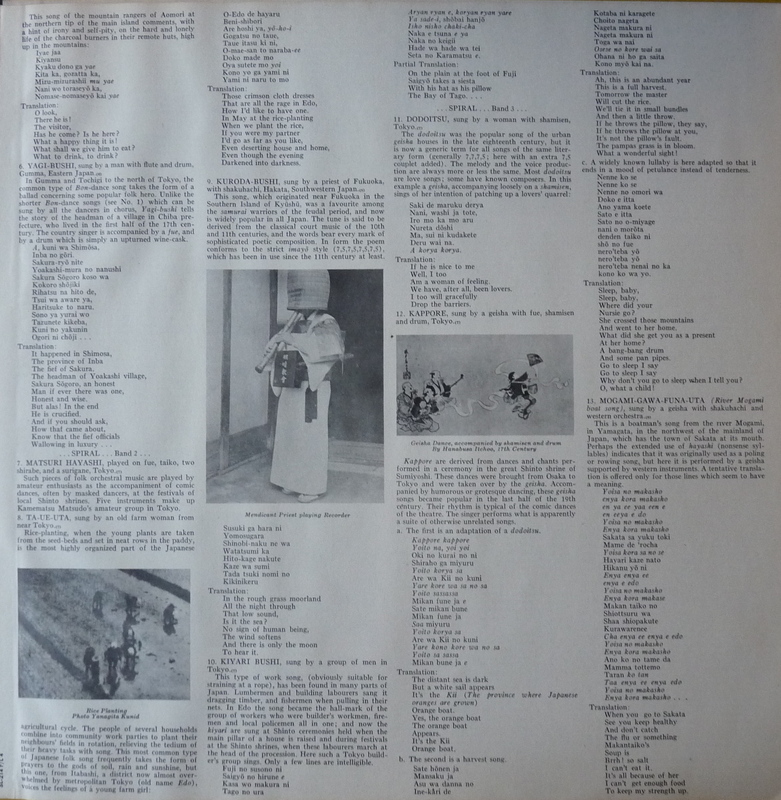 As usual, i strongly recommend to read the liner notes shown below for information on each track.